The pendant displays the word "life" in raised silver-toned metal against a purple collage background. The entire pendant is sealed with glaze. The pendant is approximately 1.25 inches long by 1 inch wide (3.2 cm by 2.5 cm). 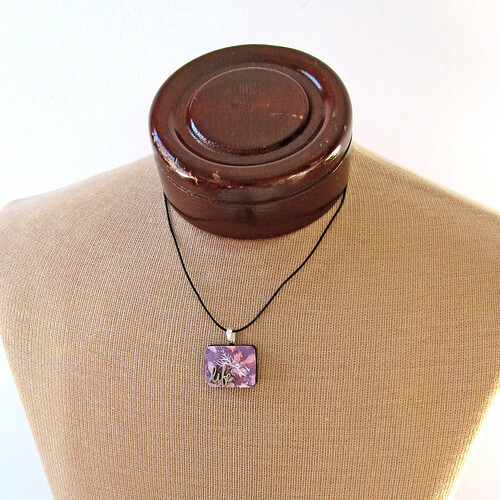 The pendant hangs from an included leather cord that is just shy of 18 inches (45 cm).